Разстояние до летището 50,5 км. Имате въпрос към Hotel Vistana Micassa? Разположен на централно място в Taiping Town, Hotel Vistana Micassa е идеално начало за Вашaта екскурзия из Тайпинг. Оттук гостите имат лесен достъп до всичко, което този оживен град може да предложи. Понеже главните забележителности на града като First Galleria, Perak Museum, Taiping Mall са близо до хотела, неговите посетители ще харесат разположението му. Съоръженията и услугите предлагани в Hotel Vistana Micassa гарантират Вашия приятен престой. Безплатен WiFi достъп във всички стаи, Wi-Fi връзка в общите части, паркинг, асансьор са само част от нещата, които отличават Hotel Vistana Micassa от останалите хотели в града. Атмосферата на Hotel Vistana Micassa се усеща във всяка стая. Удобства като хавлии, телевизор с плосък екран, огледало, достъп до интернет (безжичен), безжичен интернет достъп (безплатен) са само някои от даденостите на обекта. Освен това в хотела можете да се възползвате от множество предложения за приятно прекарване на свободното време. С перфектното си местоположение и несравними удобства, Hotel Vistana Micassa е един чудесен избор в много отношения. main criteria chosen was the walking distance for my run flagoff (Esplanade). 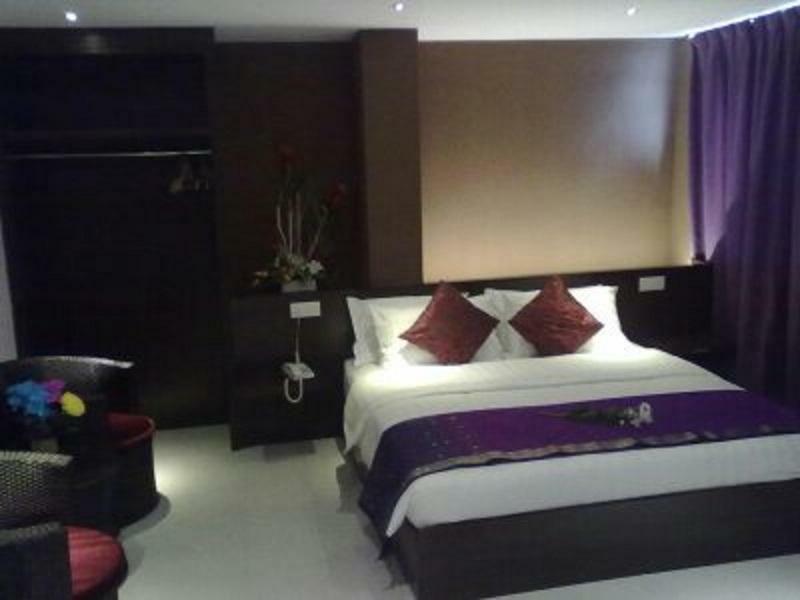 room was clean and basic with complementary mineral water. 3-in-1 coffee and jug provided. no meal option. i opted for room with window which turned out to be very noisy due to the location is next to the main road. didn't expect there are still loud motorbikes roaming the street even at 4am. so if you're a light sleeper, room with window will not the best option. i stayed in the no-window room before, same nice and clean room, deeper sleep but obviously no sunlight. 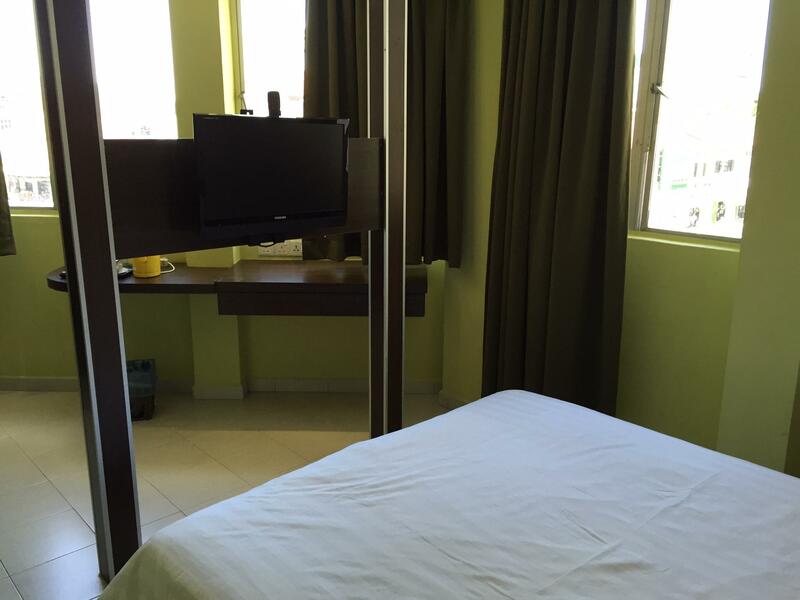 Nice experience, clean room but not so big, bed is comfortable, facilities is okay, friendly staff, Great location. I stay at higher level and has problem with water pressure, water comes out really slow. Hope can do something with this. Room is clean and bed is comfortable. 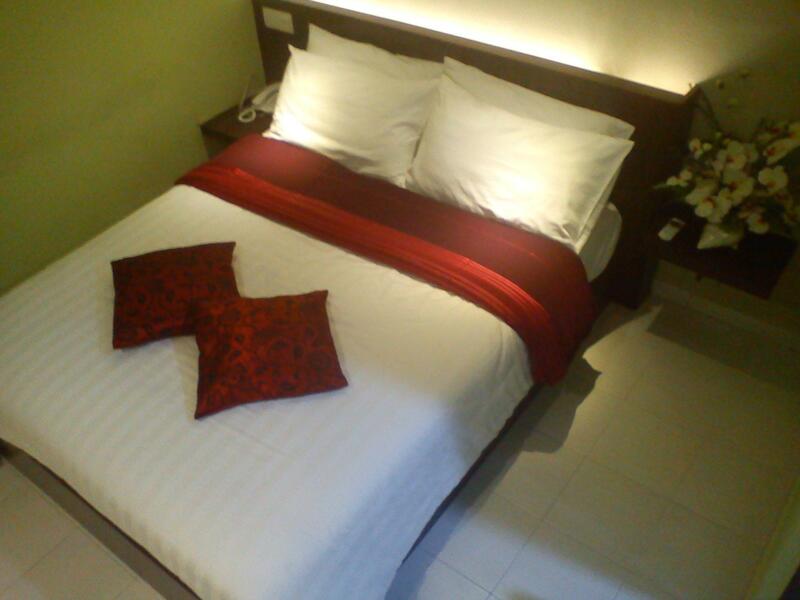 The hotel is in town, easy to find nice foods and go famous places in Taiping. Only one bad thing of the room is sound isolation. Very very noisy at night time and totally unable to sleep. I Can hear the sound cleary of opening door from next room also. If the hotel can improve the sound isolation, it can improve business. Good location, good staff, comfy bed. Location is a tad quiet and isolated in the wee hours. So safety can be a concern even though this hotel is next to the police station. Are the cops awake? Staff is very responsive, esp when the WIFI goes down. WIFI is not reliable; tends to go up and down. The hallway/corridor is dimly lit and smells awful also. The stink can be due to lack of aeration. The bathroom, esp the area near the sink and toilet are rather cramped. A 5'5" person may have trouble in that corner. When you shower, the whole place gets wet, including the toilet and sink areas. The floor is in need of a good scrub down. Obviously I cannot walk in the room bare foot. Hotel is old and not well maintained. it is a nice hotel and after the midnight you can hang out in the front of hotel. I have been here for two days, the hotel is quite old and I could see there is water leaking issue. My room had plenty of water mark at the wall and some of the place has grown up the mold. The water heater is broken, we have to bath with cold water. Basically if you would like to have better experience for your trip, please avoid this hotel. Thank you for the comment mr/miss. We apologize regarding the room issue. We appreaciate for your feedback and will improve it. We hope you will come again and will give you good service. Despite of the good location, the hotel is facing a night market and entertainment centre. (Fri and Sat) Loud music and noise past midnight. The hotel should have install better quality soundproof windows. I have been waiting for 1 hour and half at the lobby just for check in process. I arrived at 7pm that day to check in, yet they ask me to wait in the lobby. They said that they want to repair the toilet lamp and also check the condition of air conditioner. They should have settle all the issues before I'm arrived since I'm not arriving sharp at 2pm. There's a gap of 5 hours there for them to take any action. Worst day ever. The Vistana Micassa Hotel's big viewpoint: Taiping Lake Garden, that's made me felt so impressive because there distance is nearby the park roughly 1km. So in the morning I can take jogging to the park as satisfied my wish before. In depth talking there's a location surrounding by the fresh air and also the natural on me. 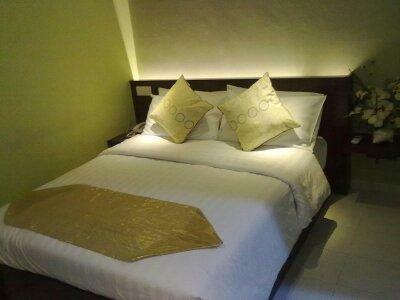 Anyway although the room that I had booking is not big but there is sufficiency to let family and I to stay a night. I dont really enjoy my stay. My room was small, the furniture not fancy at all. Nothing interesting. My room was near the punch card machine. I can heard clearly the machine music in the morning and when the staffs punched their card. Not good sound ventilation at all. 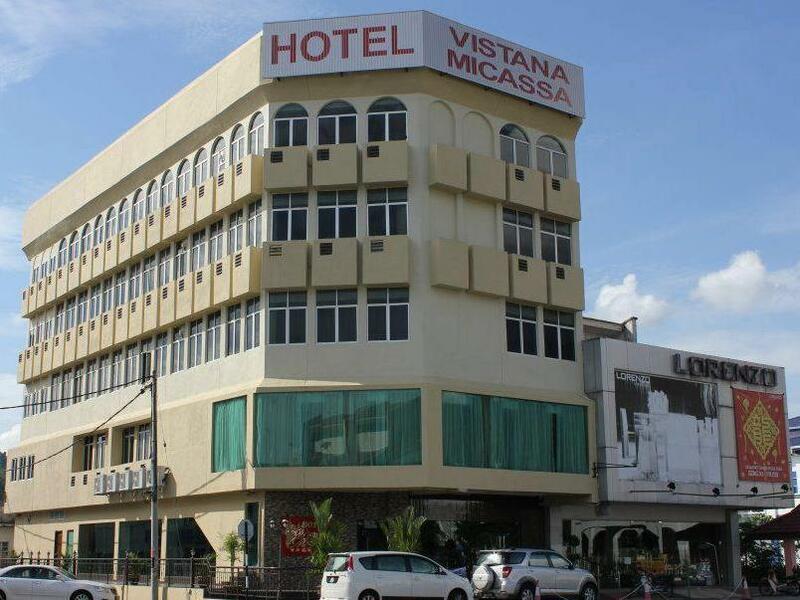 Vistana Micassa is within walking distance from Taiping Bus Terminal. 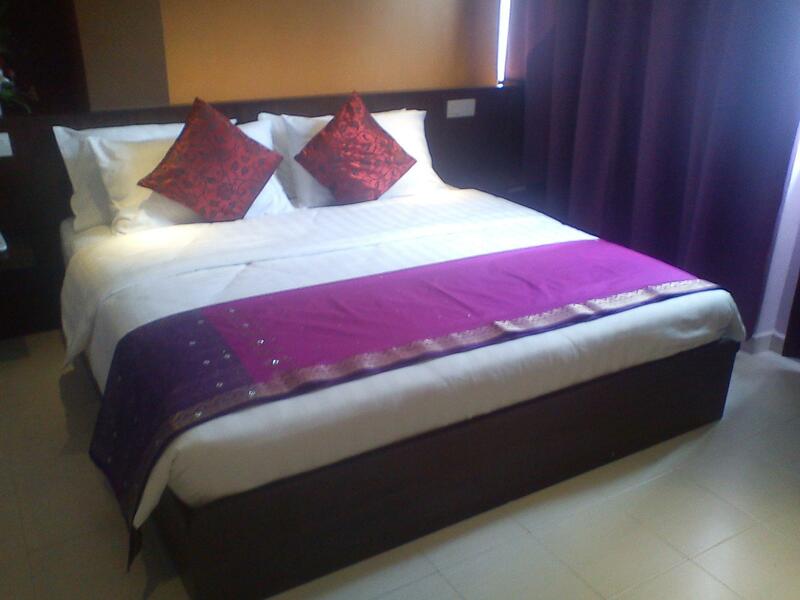 A hotel located conveniently within shopping mall (Taiping Mall) and eateries both Halal and non-Halal. It is just across a night market but with limited stalls. The front desk staff appear restless but still quite friendly. The main hall is dim and from the exterior you can't see anything inside. There is a elevator and I was given a room on the second floor. The corridor that lead me from the elevator to my room is poorly lighted. I requested for a room with window. The window faces the side road but able to see the main road and night market. The room is decent and the bedsheets are clean. However the floor is a bit oily. The air-con is good but the curtain is very dusty. The bathroom is spacious and water pressure is good too. The internet is stable and uploading of photos are not an issue. You will need to request for housekeeping at the front desk. If you are staying for more than 1 night, remember to reactivate your access card on the following day. Went there during Xmas and managed to book this hotel minute. Weird that its full on the reception and available online. Aircon is good with late check out. Only problem is toilet is glass door cover by curtain. 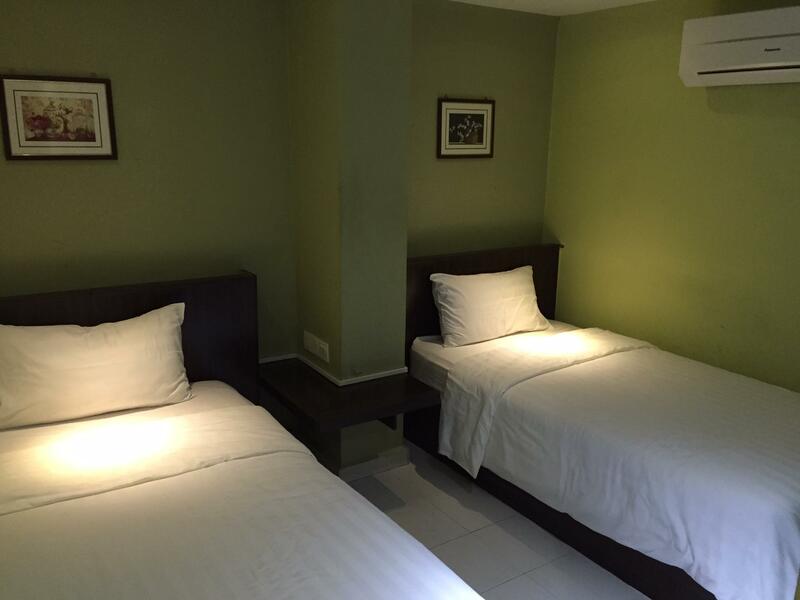 They've small windowless rooms which some might find slightly claustrophobic and the price is within the Taiping hotels price range. It is however centrally and conveniently located and the staff are very pleasant. It's clean enough for family or business travellers.